Do you end up avoiding foods that are good for you but give you gas? What if you could find a simple everyday ingredient that would allow you to digest these gas prone foods better? Sometimes named the "Food of the Gods", this is the spice that every belly needs! Asafoetida (Hing) (pr. asa-fe-teeda) is traditionally used in Ayurveda and Indian sub-continent cuisine where the diet is predominantly lentil or bean based. 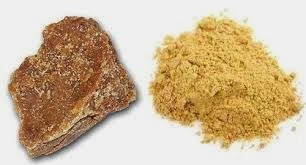 Asafoetida is a resin that is extracted from a perennial herb plant. The resin dries to a dark red, brown colour and on its own is difficult to grate or ingest as it is so potent. It is, therefore, more commonly found and consumed in a compound form where the powdered asafoetida is mixed with wheat and gum arabic. 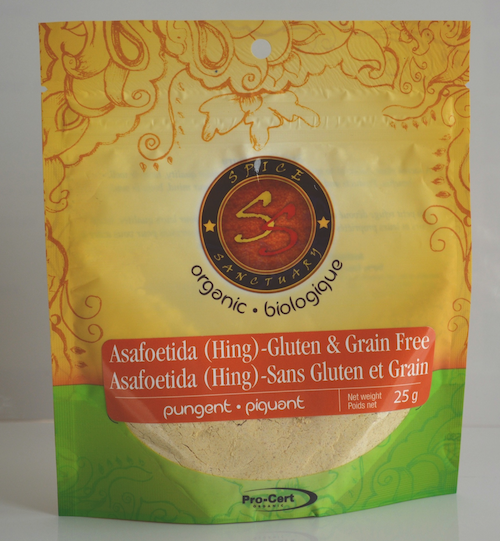 The hunt for a certified organic asafoetida which was suitable for celiacs was proving really difficult but with perseverance, research and development, we were ecstatic to finally source a very good version. It is gluten free, grain free and has a minimum of 30% asafoetida resin content, making a little go a long way! If you've used asafoetida before, you will know that it has a sulphuric smell but don't let this put you off! As soon as you add it to your cooking, the smell and taste dissipates. 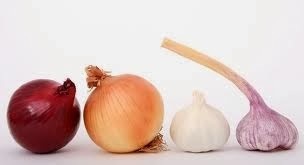 It is also a great substitute for onions and garlic if you have none in the house! Apart from being heavily used as a digestive aid, Asafoetida is a proven anti-bacterial and thought to be excellent at fighting influenza and candida. In fact, scientists even found it really effective in fighting the H1N1 virus!